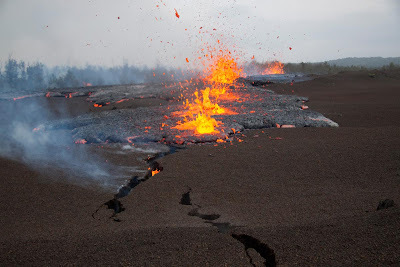 Edit March 6th, 7:30 PM: USGS/HVO has established a temporary cam aimed at the new fissure eruption that is in between Pu`u O`o and Napau Craters. Click on the highlighted text above to open the cam. 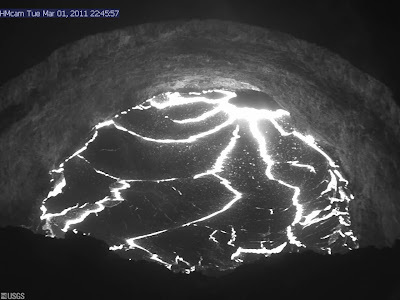 Halema`uma`u Crater pit vent as it looked tonight at 8:00PM. This is a major drop in levels when compared with where it has been, as in the image below. “Volcanic Activity Summary: At 1:42 p.m. this afternoon, HVO instruments indicated the onset of rapid deflation at Pu'u 'Ō'ō and increased tremor along Kīlauea's middle east rift zone. 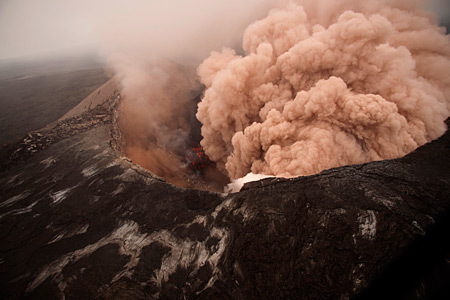 At 2:00 p.m., Kīlauea's summit began to deflate. Between 2:16 and 2:21 p.m., the floor of the Pu'u 'Ō'ō crater began to collapse, and within 10 minutes, incandescent ring fractures opened on the crater floor a few tens of meters away from the crater wall. As the floor continued to drop, lava appeared in the center of the crater floor, the NE spatter cone collapsed, and an obvious scarp developed on the west side of the crater floor, with lava cascading over the scarp toward the center of the crater. At 2:41 p.m., the scarp on the west side of the crater floor appeared to disintegrate, exposing incandescent rubble, and the lava in the center of the crater enlarged. At 2:46 p.m., the collapse of a large block along the east crater wall produced a dust plume and the lava continued to enlarge. 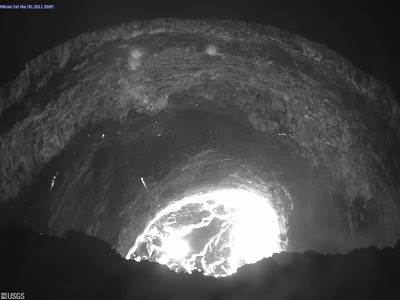 Webcam images showed that the Pu'u 'Ō'ō crater floor continued to drop through 4:26 p.m., when fume obscured the camera view. Coincident with the collapse, an earthquake swarm began along Kīlauea's middle east rift zone in the area of Maka`opuhi and Nāpau craters. Tiltmeters in this area show continued deflation. At 5:15 p.m., an HVO geologist flying over Kīlauea's middle east zone reported "an eruption in Napau Crater." When more is known about this eruption, an updated status report will be posted. Kīlauea's summit continues to deflate. The lava lake level within the Halema'uma'u Crater vent continues to drop, facilitating rockfalls from the vent wall. 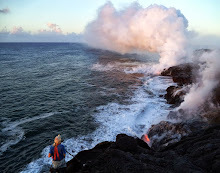 Daily updates on Kilauea's ongoing eruptions (summit and east rift zone) will be posted each morning. These will be supplemented by additional status reports and updates as warranted. 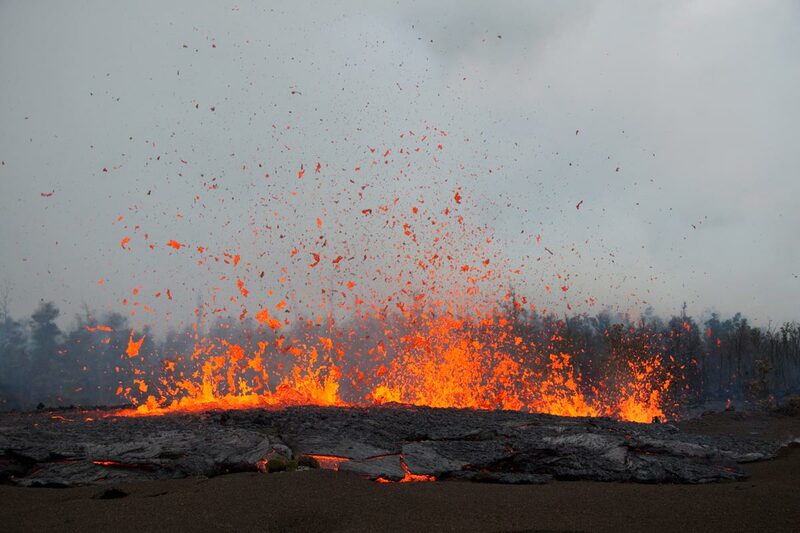 Maps, photos, Webcam views, and other information about Kilauea Volcano are available at http://volcanoes.usgs.gov/hvo/activity/kilaueastatus.php. clip 0671 March 5th, 2011 Unbelievably risky filming on this one! The last time the Napau Crater erupted was in late January 1997 and the Pu`u O`o Crater collapsed inside then as it is doing right now. 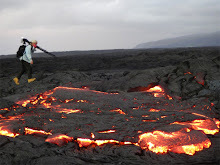 The Napau eruption was short-lived only lasting three days, then lava returned up by Pu`u O`o. That 1997 event took place at nearly the same time of year as our current one. Here is one short article on that episode. Here is a rough map from 1998 showing the location of the Napau Crater in relation to Pu`u O`o and Kalapana. Meanwhile, I did post a late day blog of the coastal surface flows (below this one). 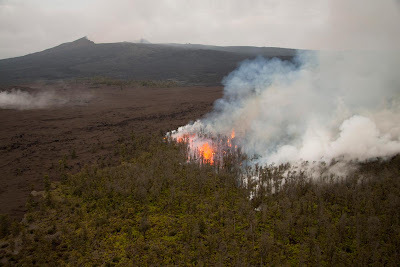 These surface breakouts will likely continue flowing for a few days to a week before they stop from lack of feeding lava from the eruption site near Pu`u O`o Crater. I will post updates on that as the days unfold, but for the big action on volcano keep track of the USGS/HVO Update Status site and their IMAGES page. Wow! Exciting happenings. 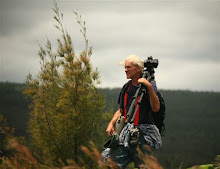 Usually I'm just a lurker around your blog, Leigh, but I wanted to say thanks for your updates, photos, and compiling the best of the USGS coverage, too. 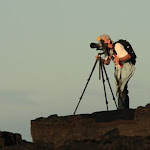 I love the pahoehoe photo from your previous update. Hope all the lava watchers are enjoying the show. I got really nervous (I live on Kauai) seeing the latest updates, but finding your blog helped me understand better than the science-heavy stuff in the official status updates. We only moved to Hawaii last year, so we're new to the whole volcano thing. I've bookmarked your blog and will reference it first! Great updates! Thank you so much!